Buildings designed by architects in Kenya need to be sustainable and responsive in all the relevant aspects of green architecture. A major concern regarding green architecture is the whole issue of water sustainability. 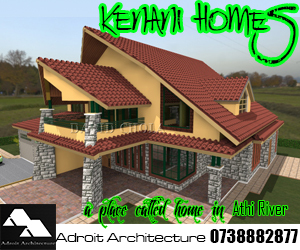 When architects in Kenya design buildings, they often take cognizance of the fact that buildings need to have good drainage. Water that is incident to the building needs to be harnessed by collecting it and storing it for its use later. Ensuring water sustainability within our cities today is a huge challenge for municipal authorities and residents of urban areas. With the changing zoning regulations and the densification of population areas, we are seeing larger and more comprehensive developments within our cities today. Large populations are having to make use of relatively small parcels of land. This is a challenge that is the surmounted through the use of high-rise vertical developments. In the same vein institutions are expanding, and catering for ever expanding populations within. Of special interest is the way that roofs of buildings behave. Buildings may fail if they suffer from leakages. Thus the architect tries to ensure that the building that has been designed with efficient in the manner with which explains water from it. However many times designers may be guilty of failing to consider how this water that has been drained from the building can be utilised once again within it. The best scenario occurs when this eventuality has been taken care of. All these developments mean that greater pressure is placed on the available water sources that serve our urban centers. In addition, living in the rural areas may not spare you from being faced with water challenges. The effects of global warming have caused climatic changes that have resulted in changing weather patterns. In many areas drier conditions have resulted. In others, much wetter conditions persist. However the ability to properly channel such sources which was a formidable challenge for many, and rainfall in these areas is often wasted. Architects in Kenya involved in the design of houses, institutions and places of work needs to be aware that water being incident to their buildings needs to be preserved. The attitude towards rainwater especially needs to be that of conserving and carefully utilising this precious commodity. In this manner, water that may be viewed as an element to be removed from the site can now be viewed as an element that can sustain human activities within it. Water that is recyclable and usable within the property can then be made use of again and again without having to pay for the new water supply. It may not be reused for drinking or a hard-core domestic use, but it can be reused for softer activities that are part of the make up of urban dwelling. 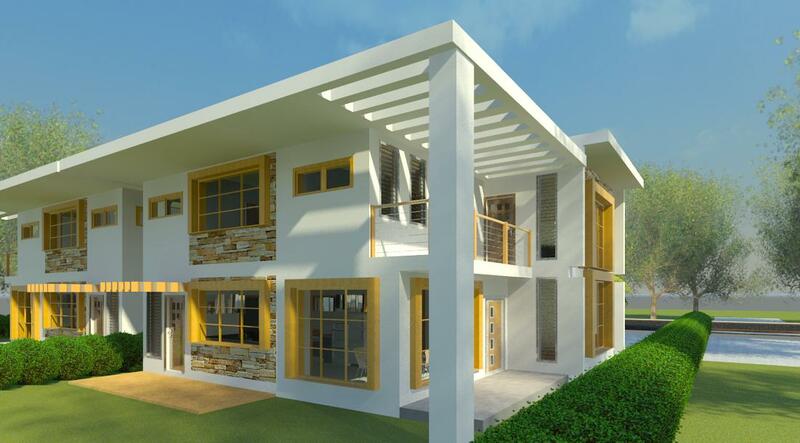 The relevance of this to architects in Kenya who are involved in designing small or large residential projects can be seen in the effect that they have regarding water supply. Residents of such properties are often confronted with water shortages and an inability to maintain all clean their immediate environment due to water shortage. However when this water is recycled, there is a better ability to adapt to water outages or similar challenges. Simple day-to-day activities such as washing up, laundry, landscaping and general maintenance activities can be carried out even at those moments when formal piped water supply is not available. Such a provision means that there is better market for real estate developments that can guarantee better water supply than those which do not. Properties which have integrated water sustainability measures can be able to attract higher premiums market. In addition properties that have good water sustainability also have lower water bills. This is because water is recycled within the property, hence reducing the need to continuously use water supply from outside for every use within the property. Activities such as landscaping, general cleaning and able to be undertaken using recycled water other than water freshly piped from the water sources. The ability to handle water in a manner that is sustainable on a property gives a lot of options in ensuring proper usage of this scarce resource. When an architect is able to ensure water that is harvested from the building through rain, much of value is added to the property. 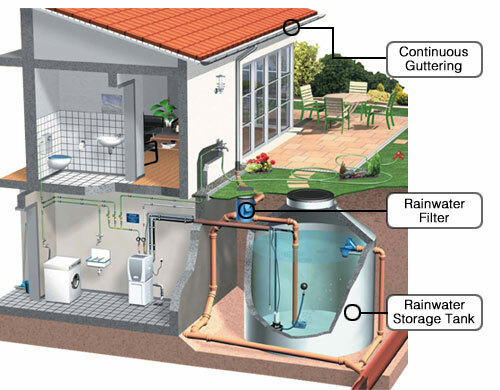 A building therefore should incorporate simple propositions for harvesting rainwater such as rainwater goods (including gutters, drainpipes and filters) as well as large tanks that can store rainwater. These may be underground or above grade, as long as water from the roof can be channelled to them. With such provisions wastage of water can be avoided. Wet seasons can be harnessed properly, and good amounts of water storage can be achieved. 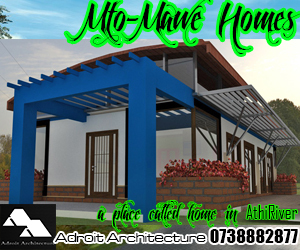 In this way such properties exhibit the fundamentals of green and sustainable architecture. 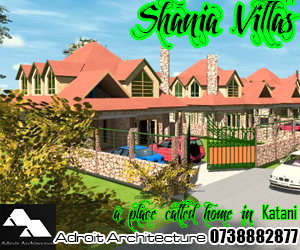 Water sustainability is therefore an important goal to be reached in projects being done by architects in Kenya.